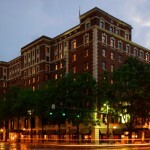 Apparitions of soldiers are said to be spotted here just about any evening. Sounds of gunshots and screams have been captured here, and flickering lantern lights have been seen as well. Some visitors reported hearing cries for help and feeling cold spots during the summer months. An apparition called Old Green Eyes, a sharp-toothed, hairy creature also is said to appear from time to time. A lady in a wedding gown who apparates here is thought to be looking for her betrothed, a soldier lost in battle. I live near the battlefield, and we use to go out there at night to scare ourselves when I was a teenager, always in a car. We drove in there one night, and it was sort of odd, because it was raining, but as soon as we passed the small stones entering the battlefield, there was no rain inside. And we did hear someone screaming. Just the scream. If it had been other kids goofing off, you would have thought you would hear them too. It’s a very surreal place, and always has a haunting quality to it while driving through. And I have heard stories about the place all my life. One evening several years ago I was with a friend of mine visiting Chattanooga. We went to the battlefield at near dusk, and parked near an old cabin. Both of us saw a wavering type shape in the nearby trees. It looked like a sort of distortion in the air, and scared us both. The figure/wavering shape came close to the cabin, and soon left. It takes a lot to scare me, but this had me sweating bullets. Oh where do I start… I use to work on one side of the Battlefield and live on the other, so my husband and I would travel through there late at night a couple times a week. I have seen misty figures standing on the side of the road. Basket ball sized green orbs floating 20 feet or so in the trees. While hiking with my best friend we have heard marching all around us, saw flashes of lights through the trees, we have been touched, and had feelings of being watched. I go out there quite often to see what I can experience, sometimes things are crazy and sometimes it is just like any other hike through the woods. as a teenager we had a sunday school teacher that lived out there and one night she was having a slumber party for her daughter and we were up late watching t.v ! when we all were sitting around talking as young girls do there was a sound of a gun shot and some one screaming it sounded like it was just out side the big glass window and then there was banging on the window like some one was trying to get in ! the teacher said just go to bed nd in the morning we will check it out ! the next morning the daughter open the curtins and there were hand prints all over the wiondow with blood ! very scarey ! My friend and I use to drive through all the time in high school. He lived on one side of the park. I lived on the other. We had heard stories, and even tried to see stuff. We never had any luck.One night, we’re riding along near the train tracks. We glanced out the window. We saw what we thought was someone riding a bike at night. People bike through the park all the time. We looked again when we got closer. There was no bike. Just the top half of a guy going down the side of the road. That was probably the faster we ever drove while in the park. As a investigator with paranormalhelpresearchbureau.weebly.com I have love walking around the park. I have had many sightings of spirits while in the park, But the best encounter happen while I was a Boy scout leader and was camping in the park with the troop. We had around 20 people and after a great night hike and doing some star watching everyone had gone to bed for the night. I being a night owl I had been walking the main trail when I say someone around 6 ft tall at he end the trail . I called out thinking it was one of the parents or scout leaders, But “it” looked at my and walked toward me. Being a paranormal guy and working 15 years in law enforcement I was aware of what was going. My thoughts are is this a homeless person , a member of the troop trying to get things stirred up or somebody that could cause harm to the scouts. I approached this “person” slowly having my hand on my holster ( scouts are always prepared 🙂 ) . All the time asking “can I help you ?” and “Hello?” but nothing. when I got within 20 ft or so I noticed the clothing and looked the a uniform ( the moon was 85% full ) . I now have realized this is a spirit and I turn on my light and the person disappeared. A great night and we love the national park. No we didn’t really see anything but we did smell an extremely strong sickening sweet smell that I have always aquatinted with cemeteries. How should I say this? As a kid whenever my parents took me to a historical landmark we would visit the cemeteries close by because my dad thought it was a good way to learn history. Also i lived down by the road to a cemetery when I was a kid. There is a sickening sweet smell I associate with them. Last night my husband and I and our children took a drive through the park we usually ride by the tower when we taking a drive. It was around 10pm my husband turned off the AC because it was whistling when he approached the stop sign he said “what’s that smell ?” I immediately recognized it and didn’t tell him until after we exited the park. The smell was an extremely strong sickening sweet smell like the similar ones I’ve always associated with cemeteries but much much stronger like there were many many dead bodies and or graves. I’ve never experienced that smell that strongly before it unnerved me. My husband and I go to the park at least every other week or so to walk or take a drive during the day. This is the only time I’ve ever smelled a cemetery like smell there. 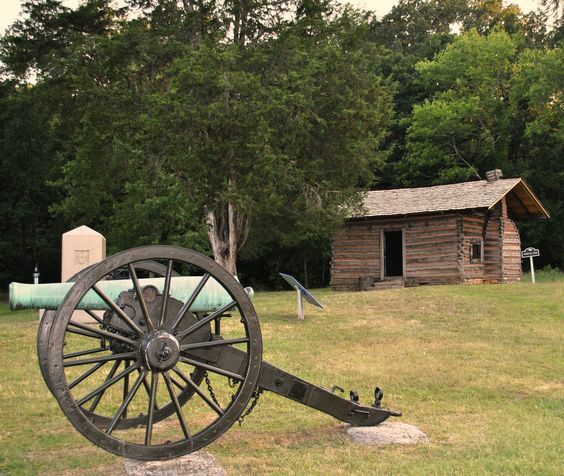 My husband is a Civil buff and we’ve taken our son to many Civil War sites. We recently went to Chickamauga on a bluebird sky day and as soon as I stepped out of the car this overwhelming feeling of dread and pain hit me like a ton of bricks. As I walked the ground felt like a great magnet pulling on me like it wanted to swallow me. I’ve never believed in ghosts and such but this feeling was so awful I was choking back sobs and I NEVER cry! It was so bad I could not stay there. I did have an ancestor, James Monroe Edwards, that was at Chickamauga as a Confederate soldier, but he was a scout and survived the war. I can’t explain it but I hope I never experience that feeling again! I grew up less than a mile from the tower. My cousin and I had heard stories about green eyes, so one night we snuck out and rode our bikes to the park to investigate. As we approached the backside of Snodgrass Hill we could see small flickers of light. We reached the top of the hill scrunched down hiding behind trees, scared to death. At the time I didn’t exactly know what it was, but looking back on it as I got older,I wonder if it were ghosts of the civil war?. There were men standing around a fire. We went home with a quickness. The next day we went back to look in the daylight, and I was completely shocked to see that there was no trace of a fire what so ever. We told a couple of people then but they thought we were just crazy. I guess it was around 1979. I think about it all the time. At the exact location from the picture above, my girlfriend and i were having a picnic and we were talking about the paranormal activities that take place in the battlefield. 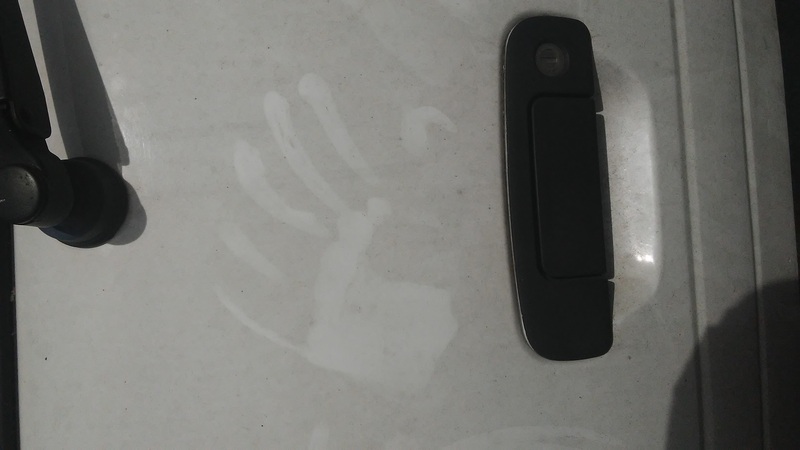 On our way nack to the car we noticed a huge handprint with 6 fingers. Has anyone seen anything like this?